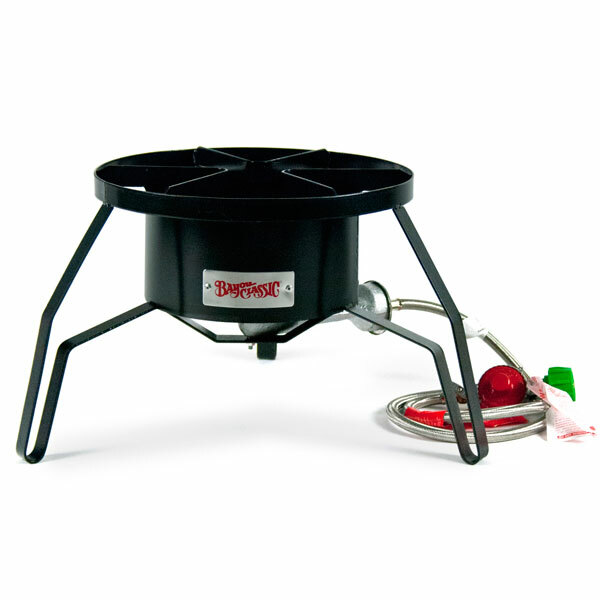 The Bayou Classic burner is an economical way to get off that electric stove and into propane brewing! When doing a full boil, a powerful flame is ideal. The Bayou classic gives you 185,000 BTUs of burning power for your brew day! Compact yet sporting a mounting platform that can accommodate many sizes of brew pots, this burner has been the first burner for many people getting into the hobby. The welded frame is designed for stability, and the windscreen helps ensure consistent burning even on windy days. With a 10 PSI regulator and brass control valve, this is the perfect way to break away from the kitchen and get brewin'!